Should tourists walk to the Zaanse Schans? From my window I see tourists on rental bikes and sometimes in an electric rickshaw going to the Zaanse Schans and then I wonder, “should tourists walk to the Zaanse Schans?”. In fact many actually walk all the way. But some clever business men started renting bicyles to tourists and one started a electric rickshaw taxi service. But is this necessary and are those tourist duped? So I open my trusted Google maps and just let Google calculate the distance from the railway station Koog-Zaandijk to the entance of the famous open air museum Zaanse Schans. And what was the result? A mere 900 meters. A healthy person could walk that in less than fifteen minutes. Taking a bike may save you some time, but not much. As a tourist you’re not used to the frantic Dutch traffic and you most likely have to stop a lot in order not to get in trouble. And you have to wait for the traffic lights just as much as a pedestrian. But most importantly you’re going to miss out at some photo opportunities the walkers enjoy. First of all there is the windmill the “Bleeke Dood” (pale death). You’ll reach this windmill in less than 5 minutes. Walking on the other side of the street, which you will coming from the railway station, you are well positioned for a photo-op. The windmill the “Bleeke Dood” is on the foot of the Juliana bridge across the river Zaan. It’s a big new modern bridge, you can’t miss it and you have to cross it to reach the Zaanse Schans. 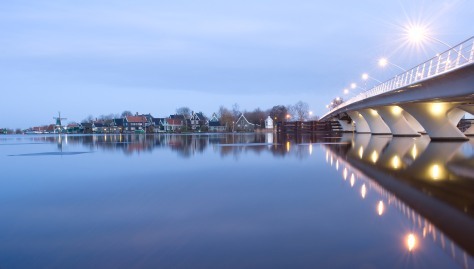 From this bridge you have beautiful view on the east shore of the river Zaan where the Zaanse Schans is located. Are you crossing the bridge on a bike? Prepare for a hassle and busy traffic which will dictate your course of action. Now you’re almost there. Enjoy your visit at the Zaanse Schans. When you’re done, on the way back you can grab a bite at two excellent bakeries. First a bit north of the Bleeke Dood at the other side of the busy crossing there is “Het Zaanse bakkertje”. 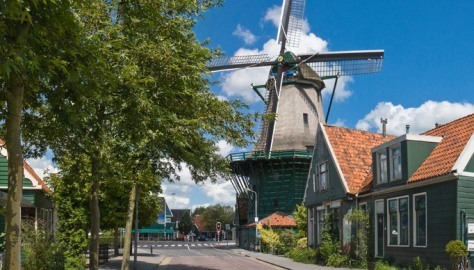 On the same road back to the railway station you find “Bakkerij de Wijn“, a famous pastry shop in the Zaan region. You might have spotted it on your way to the Zaanse Schans. So don’t spend your money on a stupid bike or rickshaw. But spend it on good food. And don’t forget to take some pictures with your iPhone, Nexus, Huawei or Samsung Galaxy. Updating tags and description of old products can be boring, so I thought it time to add a Bishamon pattern and a Koinobori scale design. 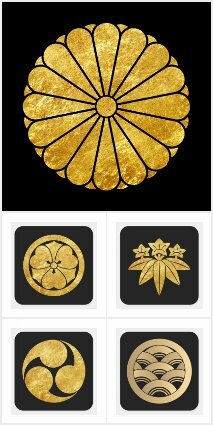 These are two traditional Japanese designs you find in different variations. First the Bishamon design. Its peculiar trianle patterns is said to be derived of the Buddhist deity, Bishamon. For me it makes a very pleasing tile pattern. I will try different colors and see what works best. Mostly I reuse colors of other Japanese which I sold earlier. If you ever visit Japan you will notice those windsocks in the shape of a fish, also named Koinobori. Most of its body is covered in fish scale shapes. I made some time ago a Koinobori scale design and I sold a couple of products. By chance I came upon another version of a Koinobori scale and I liked it a lot. Primarily because it was a type of Delft ware blue on a white background. Also the line work was better than the Koinobori scale design I made earlier. An example on an Apple iPhone 6 case. A small remark about the Zazzle marketplace search update earlier this year. I updated a lot of tags and expanded the descriptions. It is still unclear if it had any effect. The designs which didn’t moved stil don’t show any sign of sales. On the whole, Februari was dismally slow, but March made up a lot. Have already had some sales for April, but it looks my sales are flat lining for now. Last week Zazzle posted an anouncement on the Zazzle about changes in searching the Zazzle marketplace for your products. They noticed a lot of designs of Zazzlers did not sell at all, for ages. So they decided that all products that didn’t had a sale or a view for the last six months won’t show up in the marketplace. But only in your store. The advice was to take a good look at the description and tags you made for the products. And make sure they were SEO friendly. Now, in the beginning of my shop, I didn’t pay attention to tags and that stuff. 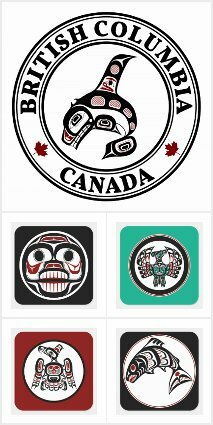 A bunch of my early designs didn’t sell at all and I thought that most likely SEO wouldn’t make a difference. The designs weren’t simply good enough. With the Zazzle post I started to wonder. 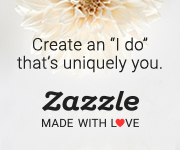 Zazzle did put an emphasis on search friendly tags and descriptions. Zazzle also said the search engine traffic from for instance Google, Bing and Yahoo is very important. I therefor started to look again at my early designs. I did put a lot of effort in them. It’s going to be a pain to create a good set of texts an tags. Probably one design per day, the tags have to be investigated with for instance a Google Adword tool. This Humulus lupulus hop in art design did reasonably well. People like more traditional designs. Also, most of the early designs I didn’t use with templates. So the amount of products is low. For now I only concentrate on early designs which are real illustrations with little tags and poor description. 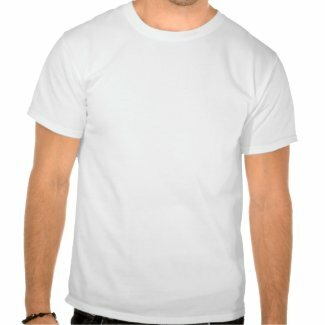 And I’ll see if I can boost the product amount with the Zazzle templates I created for this purpose. It is going to be an interesting experiment to see if the SEO friendly tags and text will help increase sales. 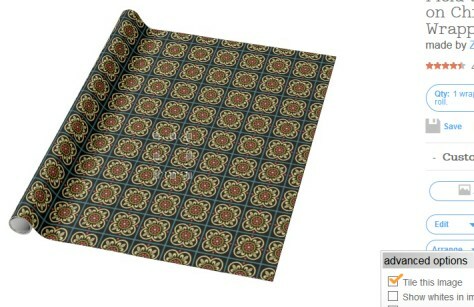 A product change started me to wrapping my head around Zazzle wrapping paper again. 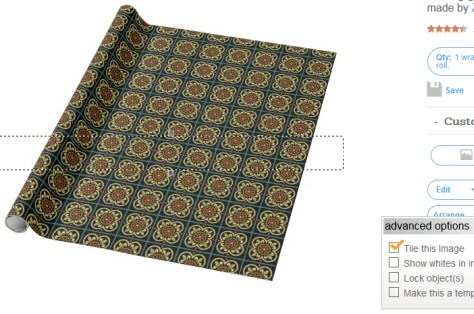 Zazzle changed the size of the standard width of their wrapping paper products. They went from 24″ to 30″. Fine with me, I designed for 24″ so I keep to that width. Alas, 30″ is the only option and this is the result. Normally I create an image of 5400 by 3600 pixels which give me 150 pixels per inch. The standard length is 36″ and the standard width was 24″. 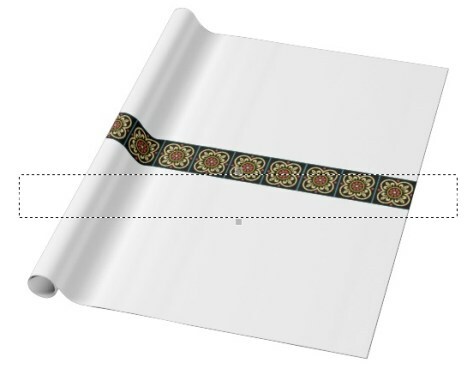 After 36″ the image is replicated again, a kind of tiling along the length of the roll every 36 inches. Those who used a much smaller image and tiled it with the 36 by 24 inch format, wouldn’t have any problems with the new with of 30″. I could tile my large image also (along the width of the roll), but that gives the following ugly result at the egdes. This is because my images take in account tiling along the length of the roll and not the width. The solution is to create smaller square tiles and tile these over the 36 by 30 format. The problem is, how do you resize the square tile so that the row fits exactly in the 36″ length (remember, that 36″ is tiled again along the total length of the roll)? 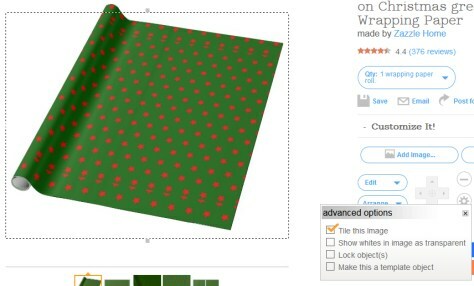 When using the tile function of the Zazzle product tool we’ll get the following result. It looks great and Zazzle doesn’t protest about the low dpi of 100. Apparently it is good enough. But what if you want a higher dpi? A higher dpi you can get by simply take a larger image (f.i. 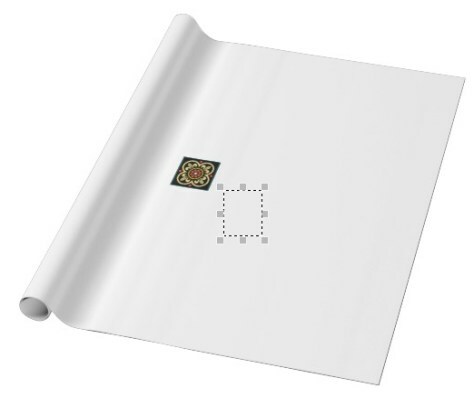 600 by 600 pixels in a 6″ by 6″ square) and resize to half the size in the Zazzle product tool (f.i. 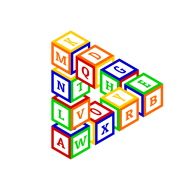 600 by 600 pixels crammed in 3″ by 3″). This should result in 200 dpi, but Zazzle doesn’t allow for exact resizing. Tiling along the length, over the 36″ format, won’t give a nice result. For this problem I deviced a clever solution. Simply create one image of a row of a desired number of tiles and “fit” this in the standard lentgh of 36″. I created this example of 7200 by 600 pixels (12 tiles). Next step is to fit this image in the 36″ by 30″ format. So 7200 pixels snuggly fitted in 36″ will get me 200 dpi, good enough for me. Since tiling along the length of the roll is now fixed properly, I only have to tile along the width of the standard format. 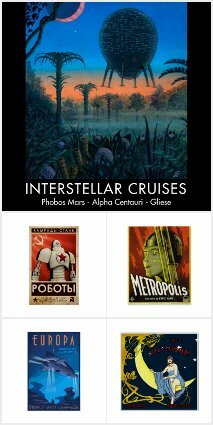 For that I use the build in tile function of Zazzle. With the following result. And the result in my Zazzle store “Fresh Patterns”. Now, I made a bunch of wrapping paper design with the first 100 dpi tiling method. From now on I’ll use the second method in order to get the desired 200dp. 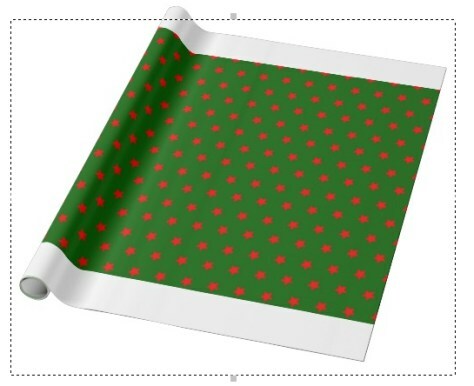 I’ve made a Pinterest board for all my Zazzle wrapping and gift paper designs. For many years I always wanted to make a post about the Wizarding world of Harry Potter. I’ve read the books at least two times and I have seen the movies on multiple occasions. This blog needs more posts, posts of a more divers character. Lets start something lighthearted about magic. If you’ve read the books and seen the movies you might noticed that the wizards and witches aren’t exactly the most happy lot. In the movies many are portrayed as a bit scruffy and not particular wealthy. Which is odd since they have this über power called “magic”. In this post I’ll try to give my view of what I read and saw about making a living in the Wizarding World. And how this relate to the muggle world, because J.K. Rowling wrote this book in a very non-magical, highly technological culture. Magic really doesn’t exist, you know. Gamp’s law says you can’t create money out of thin air. As you cannot with food, which dough is really. Money is just an object, a wizard shouldn’t have trouble with creating some. But we’re talking about wizarding money, which is made and tightly controlled by goblins. Apparently the amount is fixed and can’t be increased by the muggle way of fractional banking. At least the only debt I encounterd in the books were betting debts. Money is exchanged as a physical object only. Only gold, silver and bronse, secured with goblin spells, as money may appeal to the romantics, but it makes live pretty difficult. Mrs. Weasly clearly was scraping by with difficulty getting cash, while Harry had a pile of gold sitting idle in a vault. My impression was that every adult wizard and witch was trying hard to get galleons, sickles and cnuts. Only two ways were presented to earn an income; working for a handful of institutions or being self-employed. In fact there is one institute where almost everybody wants to work, the Ministry of Magic. Outside the Ministry, if you’re not working for the Daily Prophet or Hogwarts, then your only option is being self-employed. In this case, bar some shops in Diagon Alley, this means being a poor peddler. We’ll get back to the Ministry later. First, making a cnut on the street. You would expect that a wizard would have no trouble creating a good life for himself. And having plenty of purchasing power. Lets see, a roof over your head? No problem, with magic you can make a nice house with magically produced material. Need a plot for your house? Pick any remote spot with no muggles in sight. You’re a wizard, transportation is easy and free to any spot on the planet. Food? Conjur the best salmon from the rivers, fruit and wheat from muggle farms. They won’t notice. In short, magic will provide almost all, for free. J.K. Rowlings is brilliant though. Being a wizard, or witch, makes you lazy. Everybody has the same talent as you have and magic takes a lot of muggle effort away. Hermione may be the best witch of her age by studying hard, when push comes to shove the difference with others is negligible. Harry has better fighting talent and that’s all he needs. Thanks to their muggle upbringing Harry and Hermione do have street creds, which keeps them ahead of their peers. Most students, even Neville, reach the same level off skill, the difference really is only in the amount of skills, for instance the number of spells you’re able to perform. If there is no real incentive to excel then what you get is a bunch of bone idle wizards and witches who get through live with the least amount of effort. The result is people scraping by or hitting rock bottom in Knockturn Alley. Given that the estimates of the British wizard population varies from 3000 to 15000, that’s a lot of bums I saw in the movies. According to this wiki it seams that most wizards get their wealth through inheritance and not through business. Then again how shall a wizard succeed in business if he has never learned to work hard, study hard and apply discipline. It is no wonder that being self-employed is a poor mans option. George and Fred may have been natural business men, Mrs. Weasley was horrified. A funny objectivist view on the Harry Potter world points to the oddity the Wizarding world is, despite his excellent talent in potion making, it never occured to professor Snape to monitize his concoctions. There is another reason why being a being a business men is hard for a wizard. You can’t interact with the muggle world very much. As a wizard you could create great value for muggles, if necessary in secret. But this Ministry of Magic keeps a Big Brother style of control on magic performed close to muggles. With thousands more muggles than wizards, that’s a huge market which is out of bounds. The British Wizarding world itself is barely the size of a small town. This keeps wizard businesses at the level cottage industry. Except the Ministry itself. The Ministry is the 900 pound gorilla in the room. Any wizard who wants to have a decent income tries to get a job at the ministry. The Weasleys pretty much a civil servant family. A save bet but the pay isn’t always stellar. Which is no surprise since the Ministry is depicted as a rather large organization. With so many mouths to feed and such a poor tax base, money is spread thinly. Especially since the Ministry can’t print its own money. No doubt the offices are filled with poorly trained wizards and witches doing a half-assed job (what do expect with just five years of secundary education). Although the Wizarding world is weird, there are some striking similarities. For instance the dominant Ministry of Magic is starting to get its counterpart in the Muggle world, namely the modern western government. Also citizens getting resources with hardly any effort, for instance benefits, almost look like wizards and witches. But this blog is getting too long already and these comparisons I would like to keep for another post.